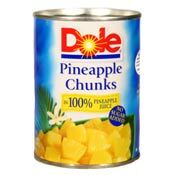 There is a great printable coupon at coupons.com — $0.50/1 Dole Fruit! These are hard to come by, so head over here and grab it. Remember that you can print it twice!